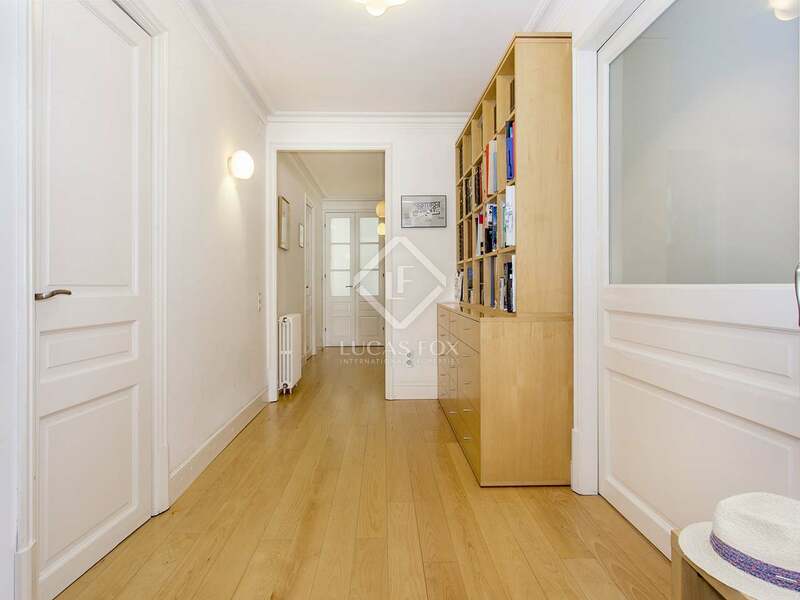 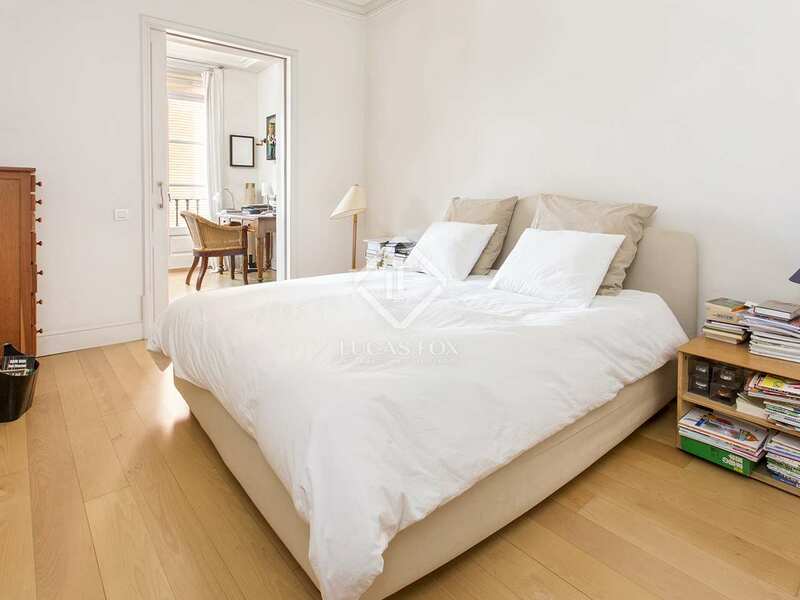 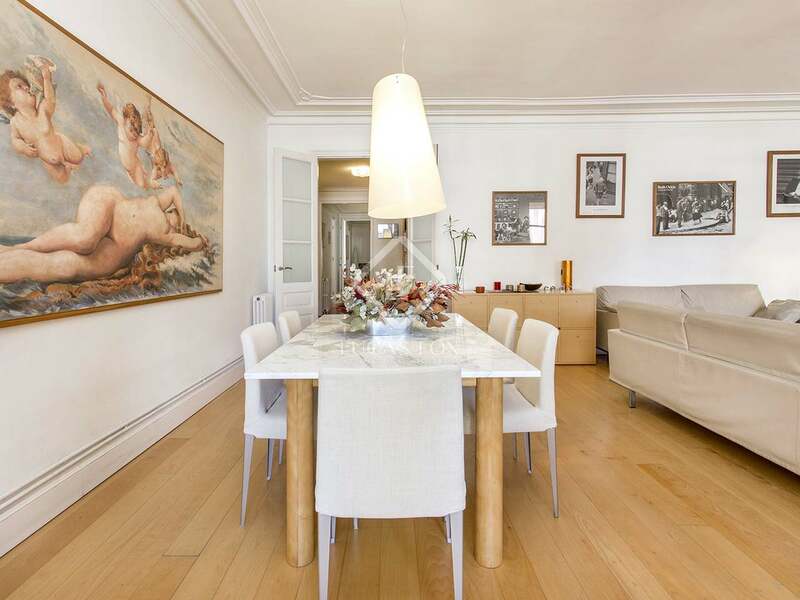 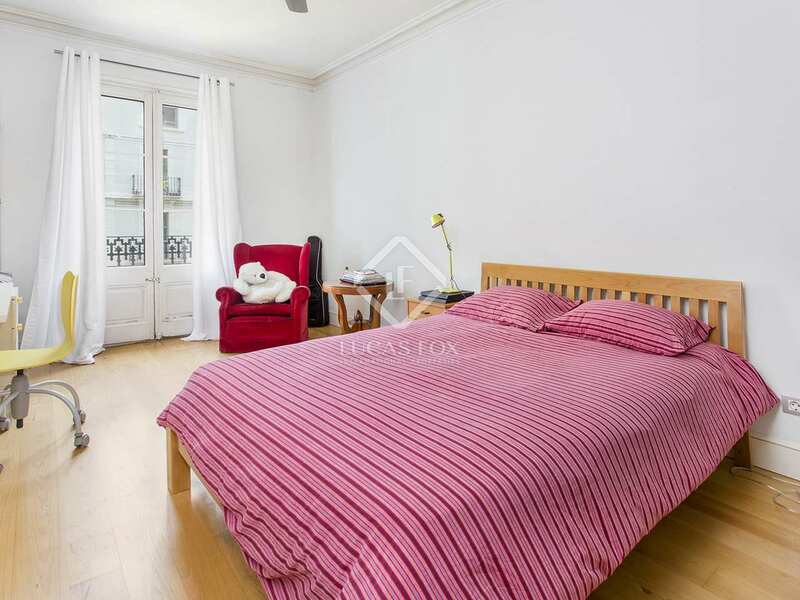 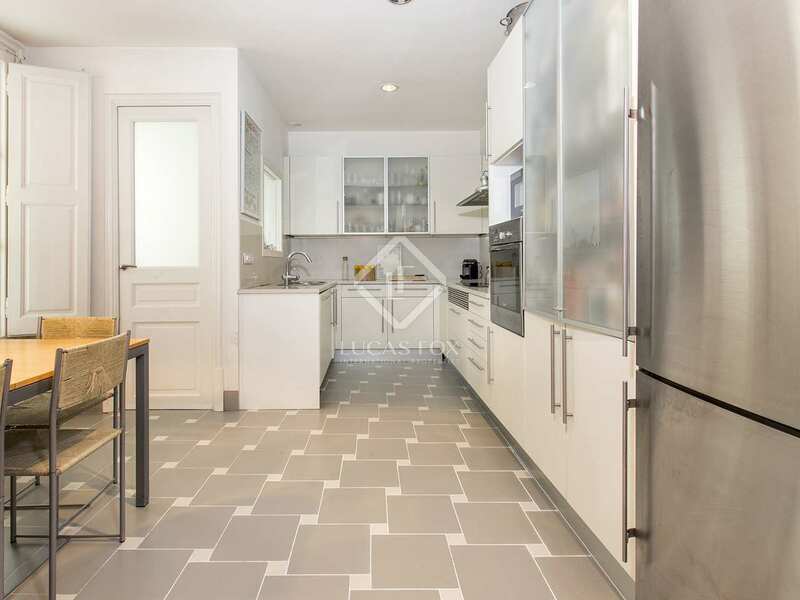 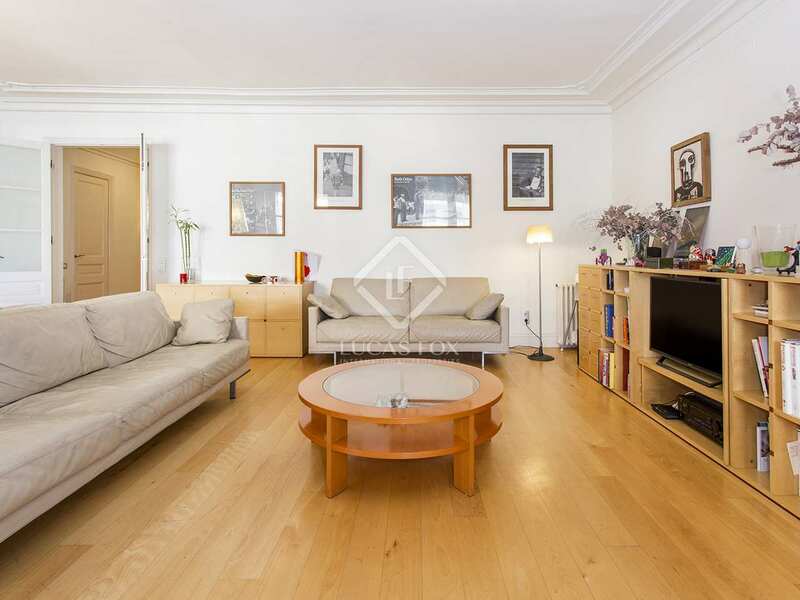 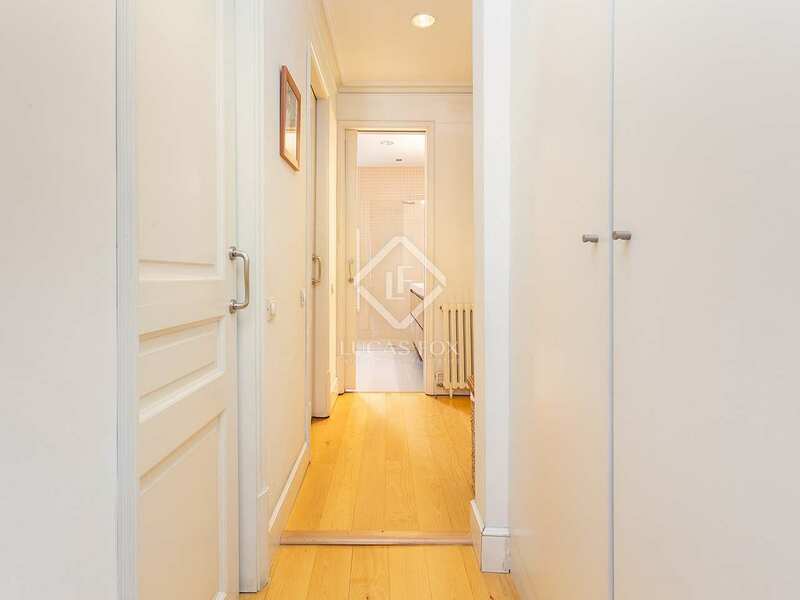 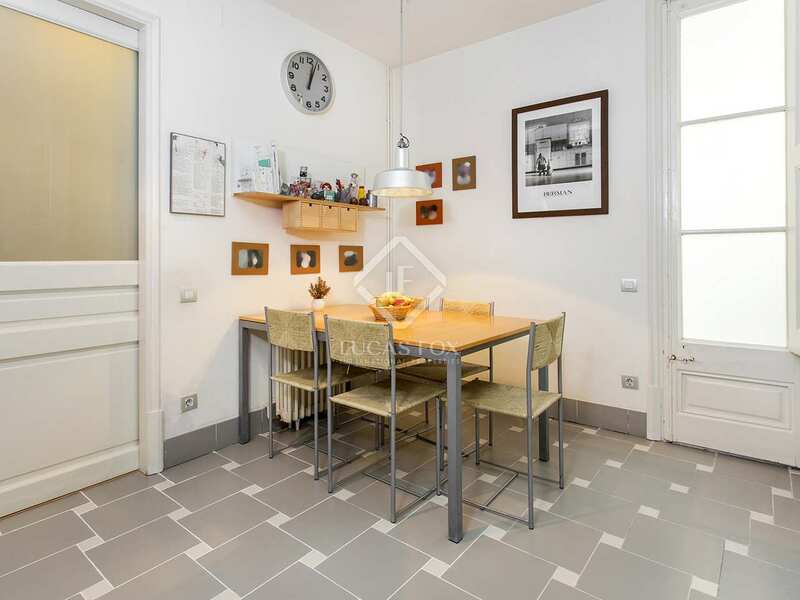 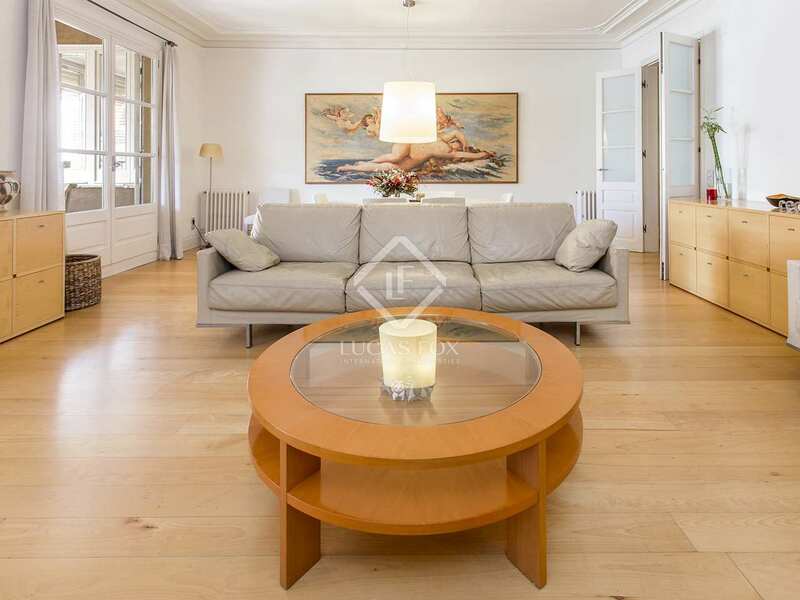 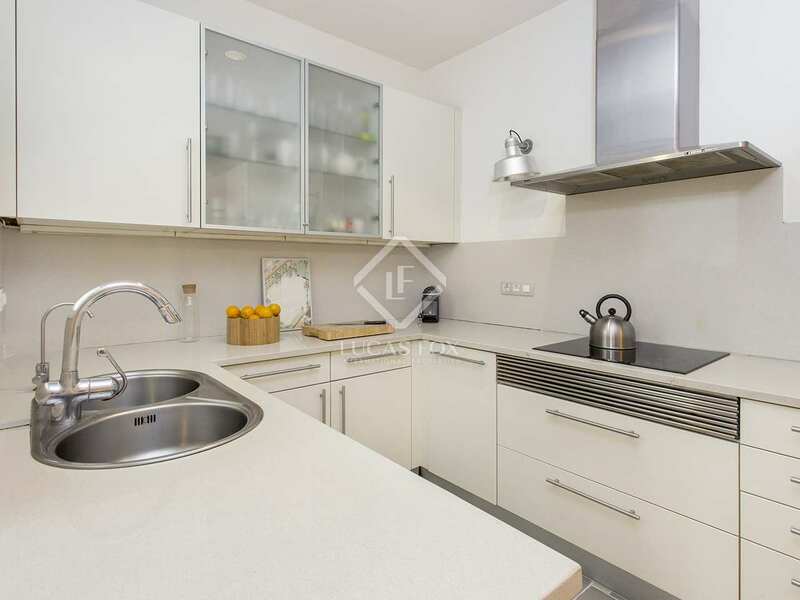 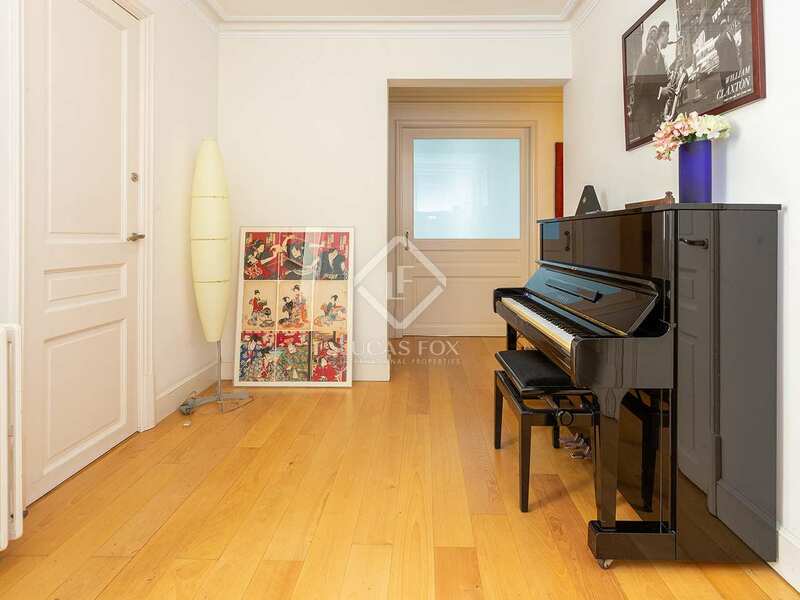 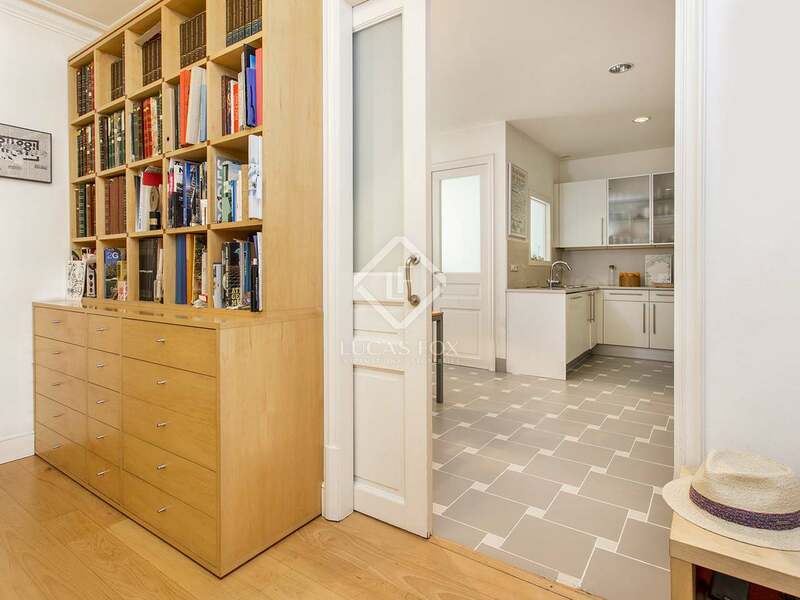 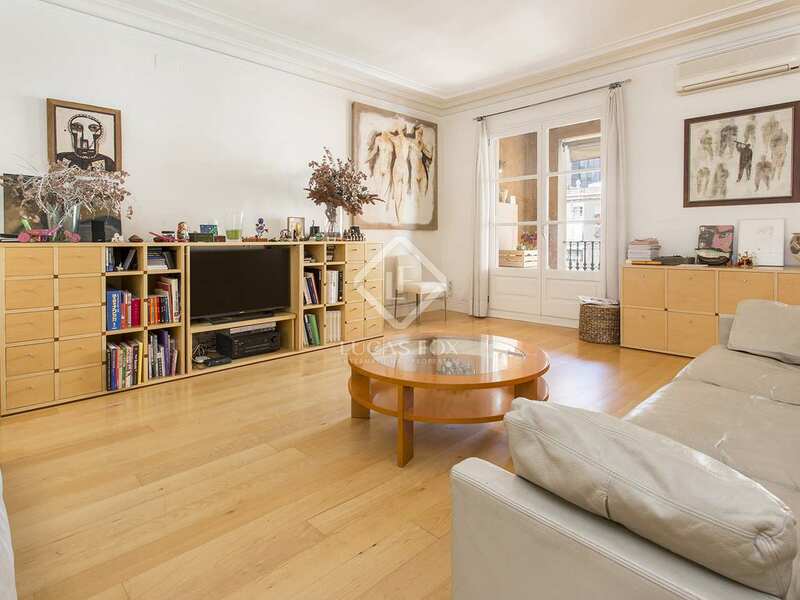 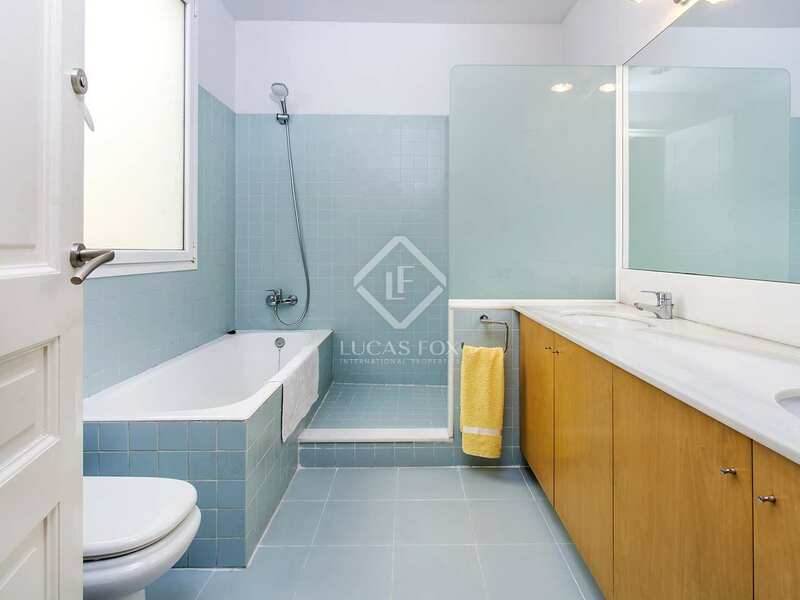 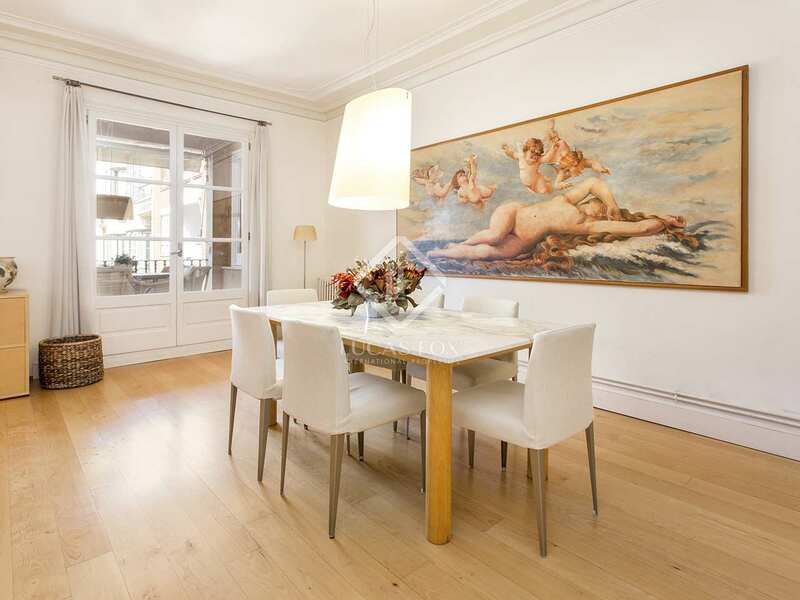 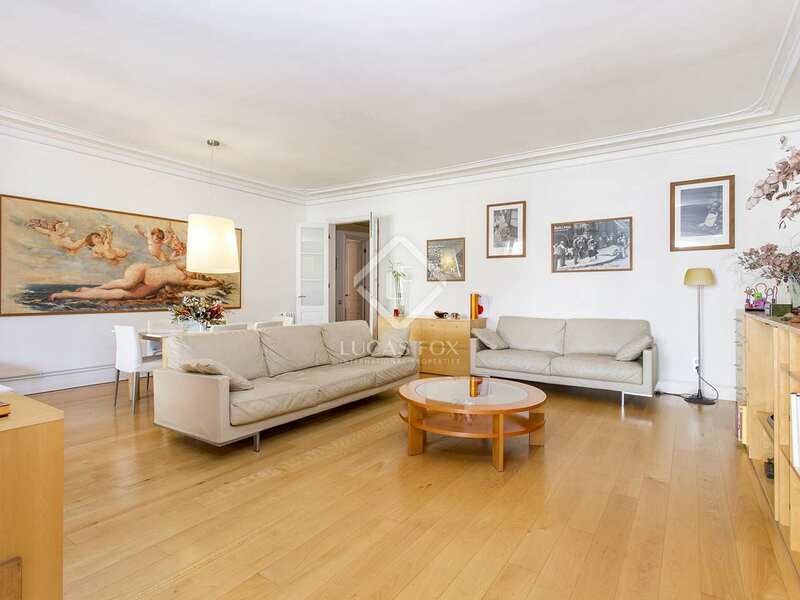 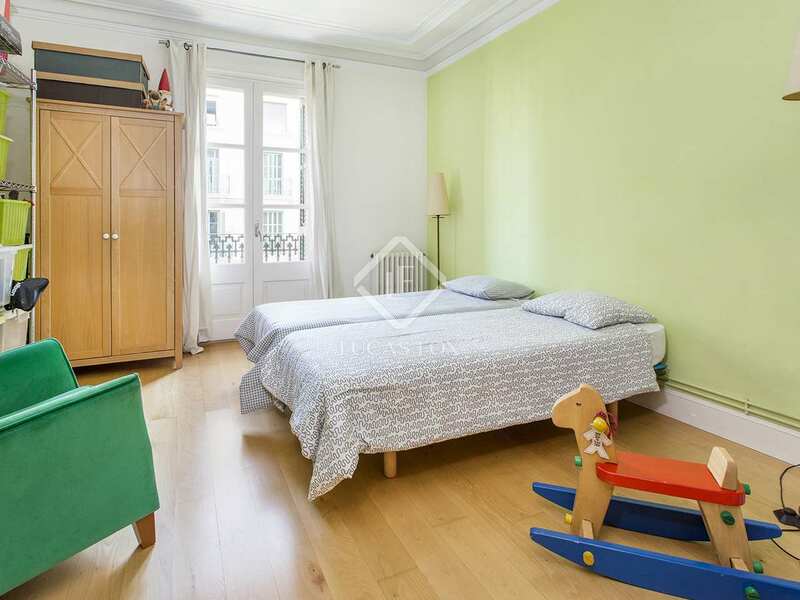 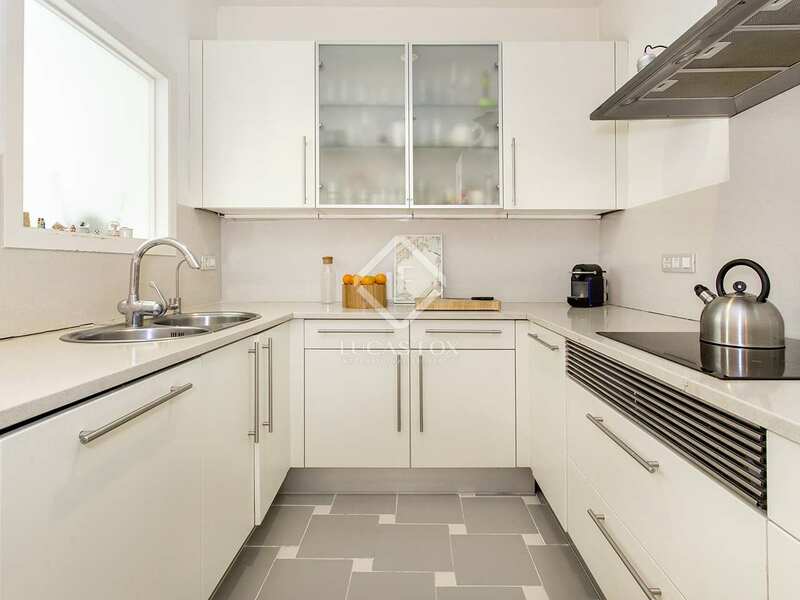 Spacious 5-bedroom apartment for sale in the heart of Eixample, Barcelona. 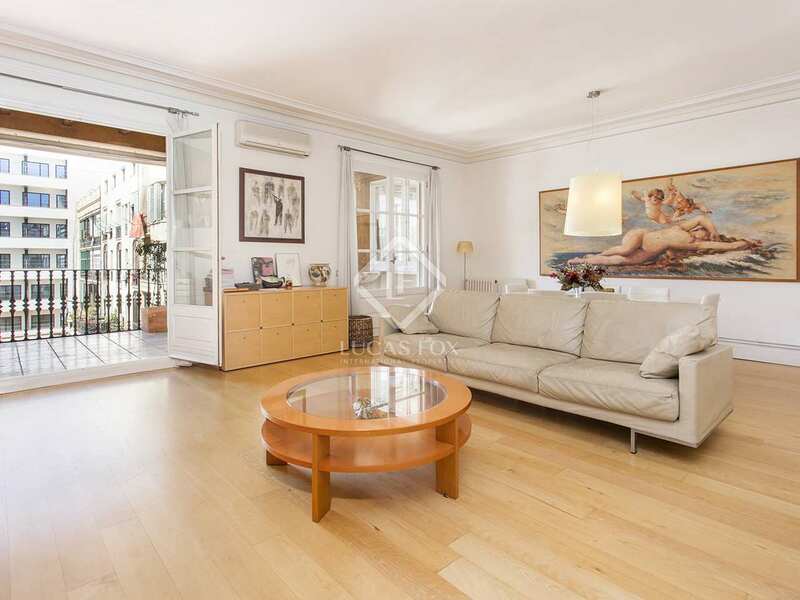 This 250m² apartment is very well located in the heart Barcelona's sought after Eixample neighbourhood. 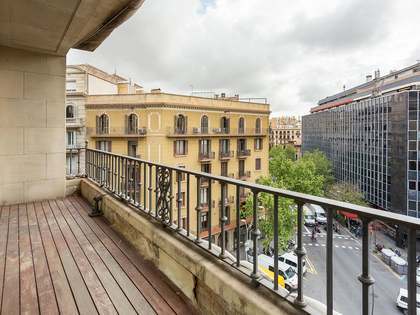 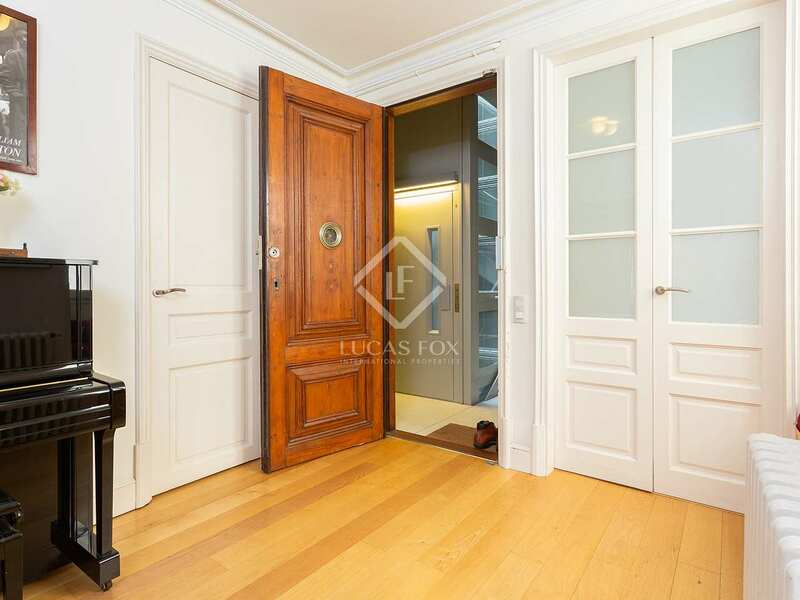 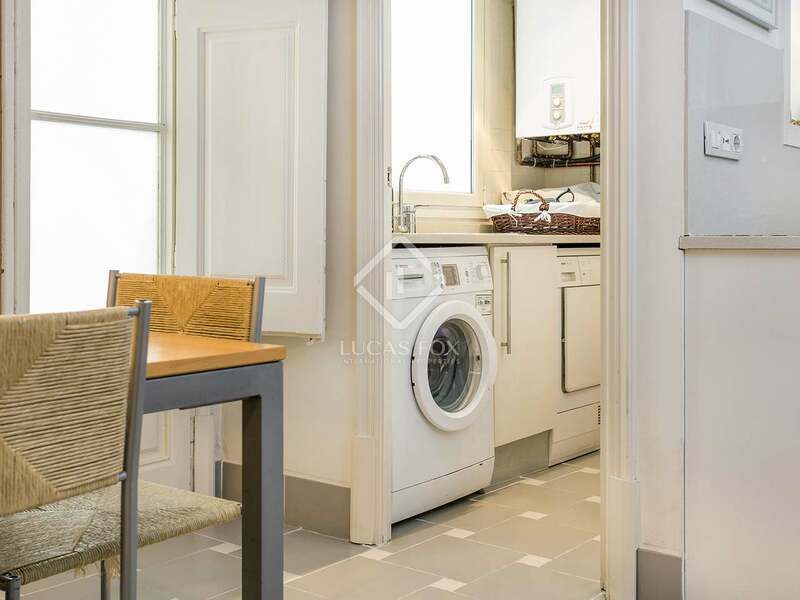 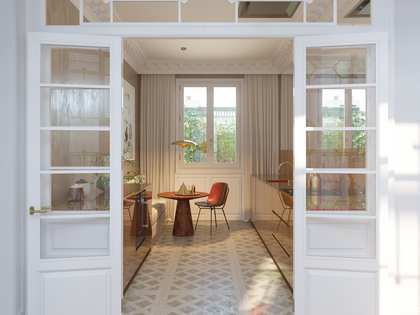 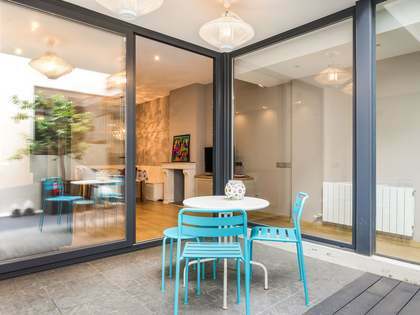 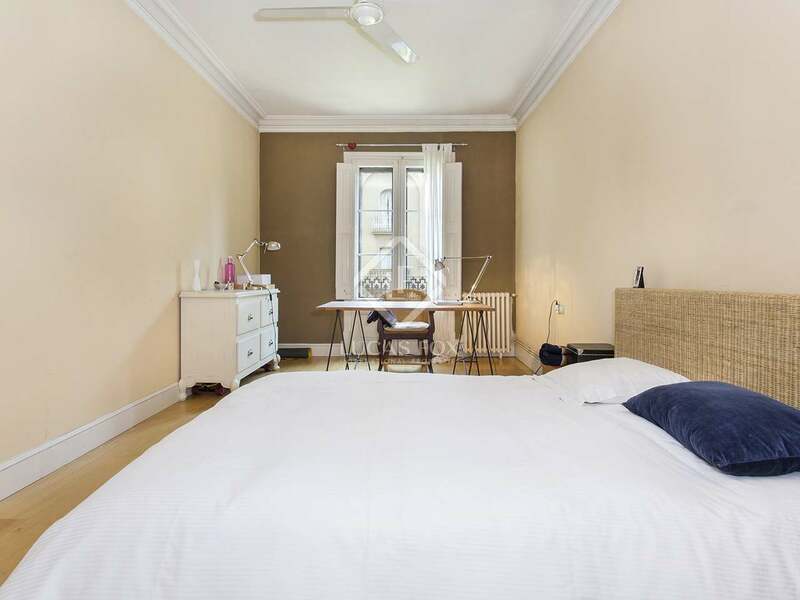 Close to the exclusive shopping of Passeig de Gracia and well connected to the rest of the city, it is the perfect location from which to enjoy everything Barcelona has to offer. 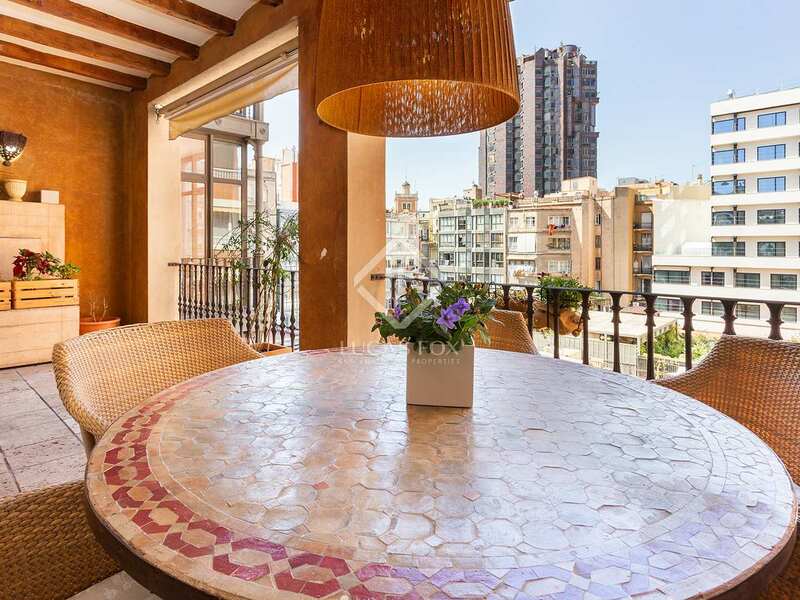 The apartment offers an ample living-dining area with a terrace with pleasant views across the interior courtyard, perfect for dining outdoors. 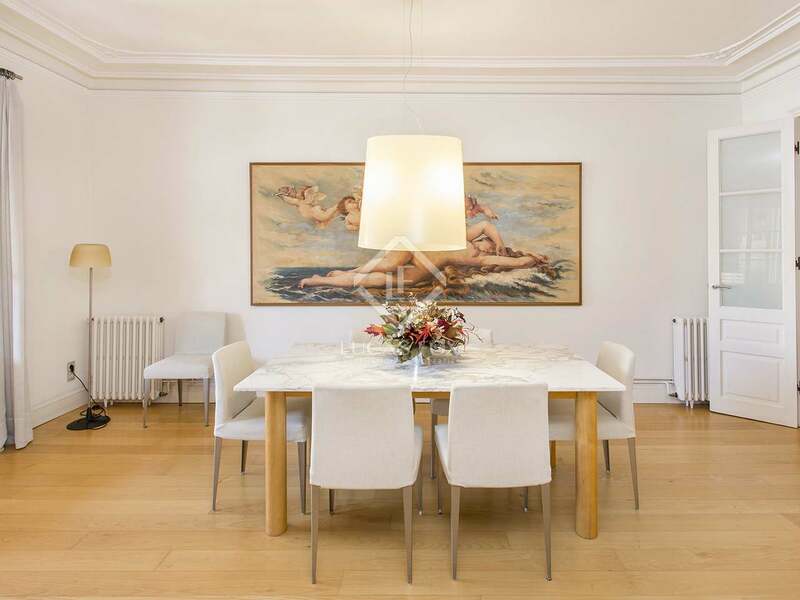 The living area boasts high ceiling and elegant interior decor, a sophisticated family home. 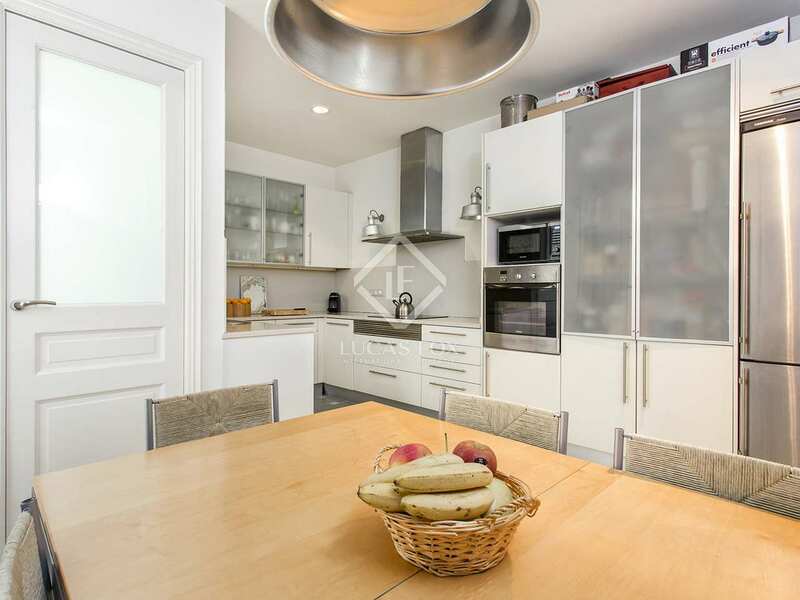 From the living area we access the modern and well-equipped kitchen which has space for a table and chairs, ideal for informal dining, the kitchen also has access to a balcony. 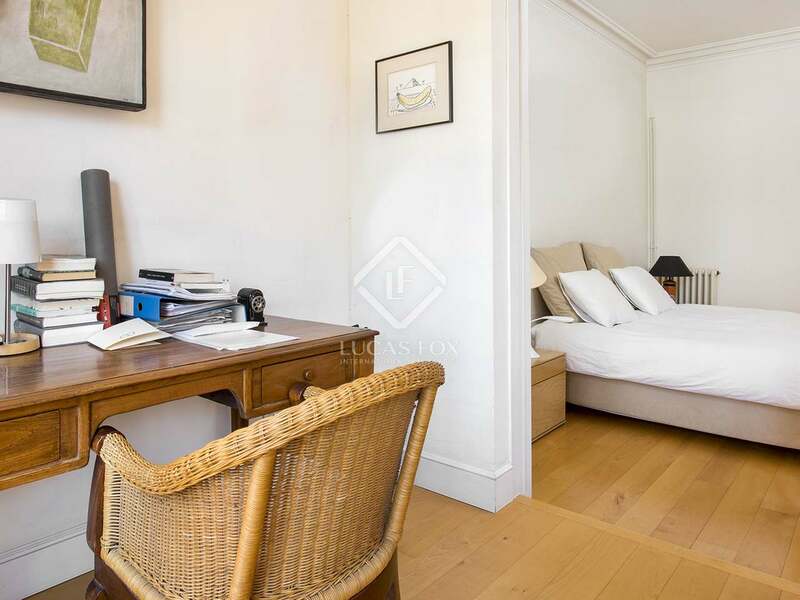 This impressive apartment has a total of 5 double bedrooms, one of which has an en-suite bathroom and dressing room with a gallery. 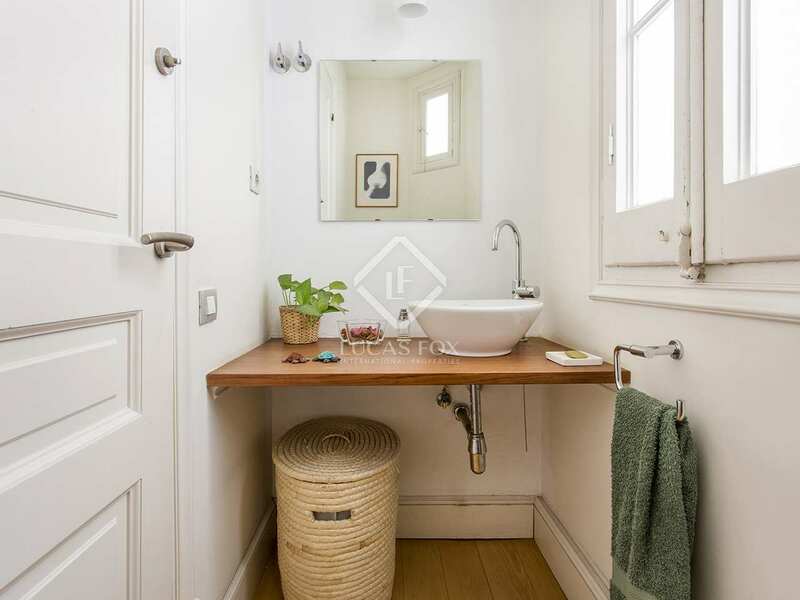 There are 2 complete bathrooms and a toilet. 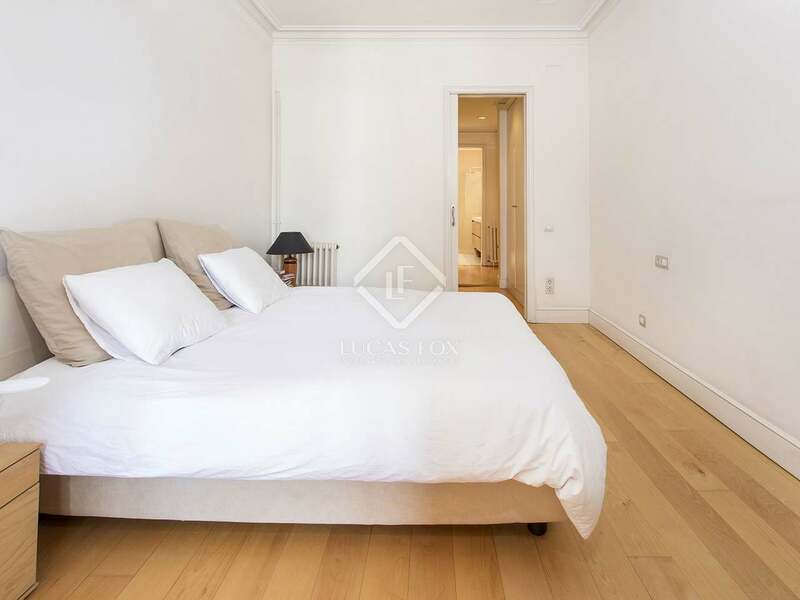 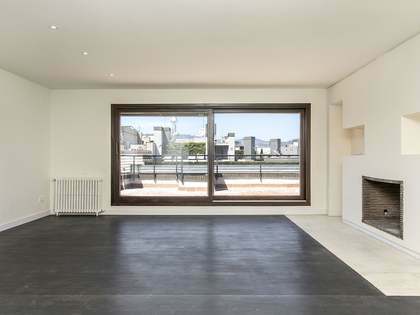 An elegant property with wooden flooring throughout, this is the perfect option for those seeking a spacious city centre home. 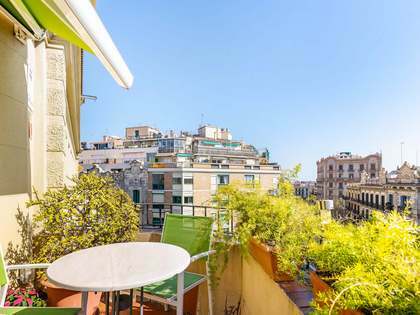 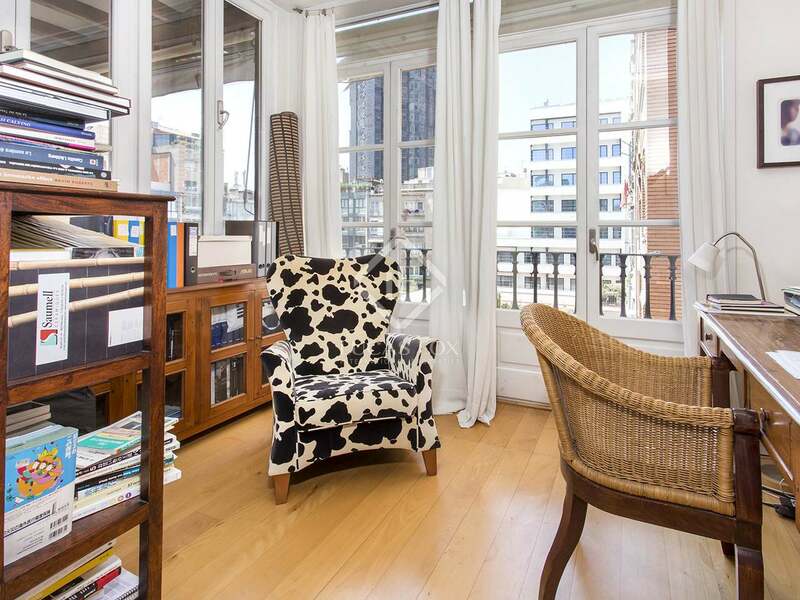 This apartment is located in the heart of Barcelona's sought-after Eixample Right. 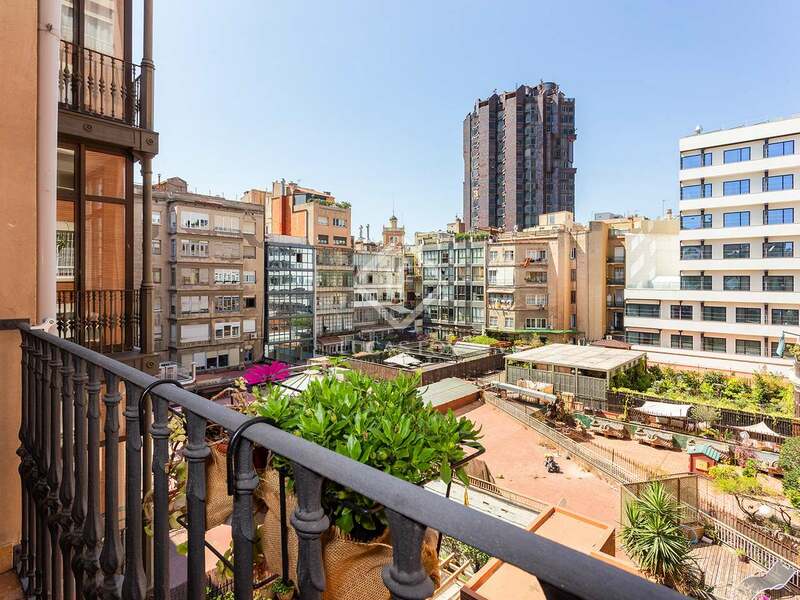 Surrounded by exclusive shops and excellent restaurants, as well as being well connected to the rest of the city and the airport by public transport, it is an ideal central locateion.